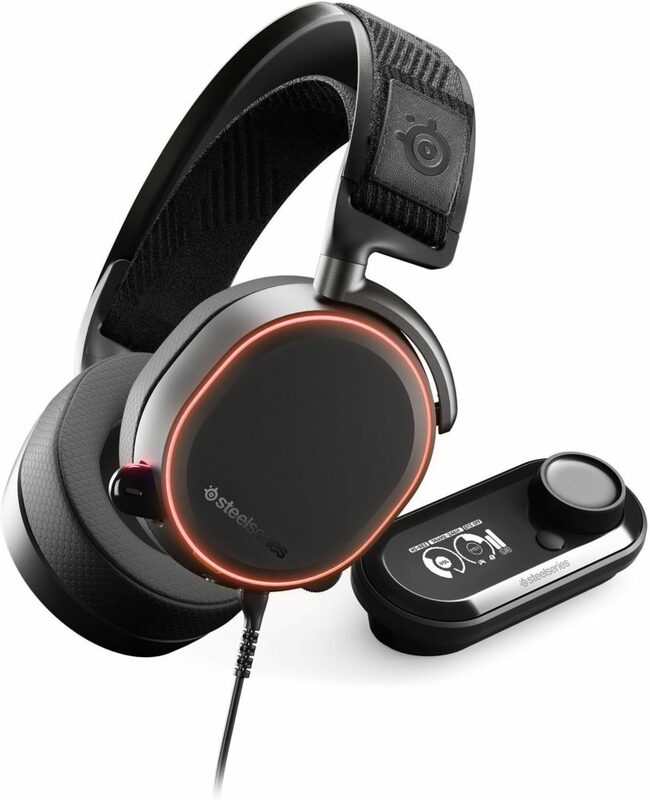 SteelSeries have strong competition in the marketplace with Turtle Beach and Astro Gaming headsets offering solid gaming experiences across a range of headsets for beginners and pros alike. But the SteelSeries Arctis Pro + GameDAC is special. With its comfortable and aesthetically pleasing design, its dedicate DAC, sublime sound output and compatibility with PC, PS4 and Xbox One, its hard to make a case for why you should not own a set of these. There is the price of course. The SteelSeries Artcis Pro + GameDAC is not cheap but at the higher end of the market, the price is not unreasonable considering the tech you are getting. To gamers that have been in the market for premium headsets, the price will not surprise or deter you. For those that have been getting by with mid range headsets, the price jump is justified. The Arctis Pro are ergonomic and look sleek. 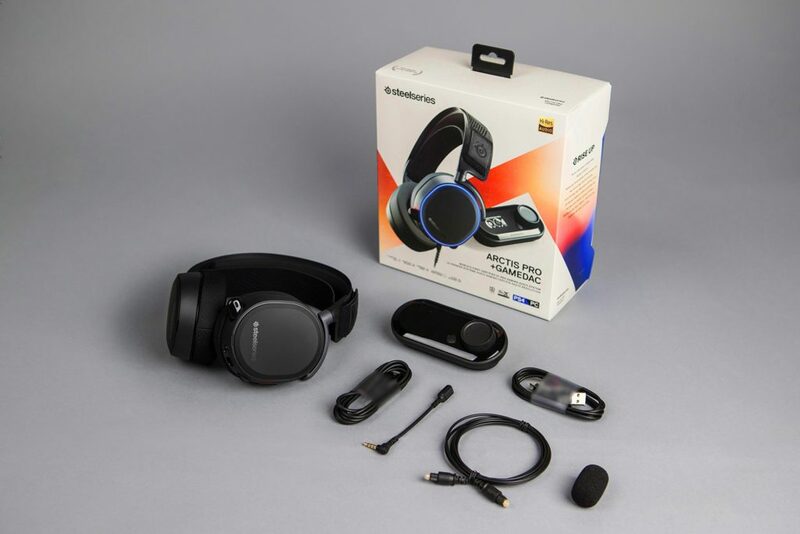 They exude premium and unlike some of their competitors bulkier headsets, enjoy a much more elegant, simplistic design with dashes of colour and gun metal to make them stand out against the quality matte black finish. 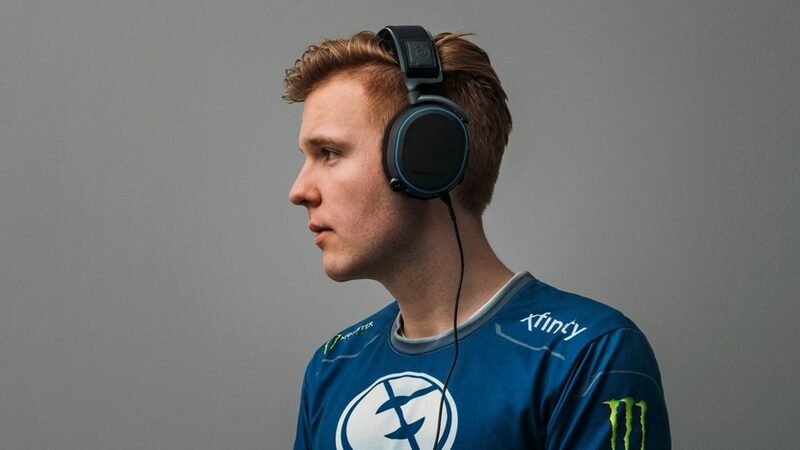 The secondary headband is not too obvious and does not distract on the overall classy look of the headset. Greasy fingers may leave some unwanted marks on the matte black but these can be simply wiped away with ease. If the out of the box look isn’t enough, the magnetic cup plates and the headband can be changed which offers gamers, the option to customise the look of their Artcis Pro. The one obvious thing you notice after hours of wearing these is that you don’t realise you have them on. For the lights to operate around the ear cups, the USB cable does need to be inserted which is a slight shame as it just means you are slightly less mobile with them on. But during a gaming session, this did not cause us any noticeable impact. The volume dial and mute button are on the back of the left ear cup and relatively easy to access though this may fee a little unnatural for right handed folk. Overall with the ability to customise the Arctis Pro leaves little to desire about the overall look and design of the headset but in our view, they look the best straight out of the box. 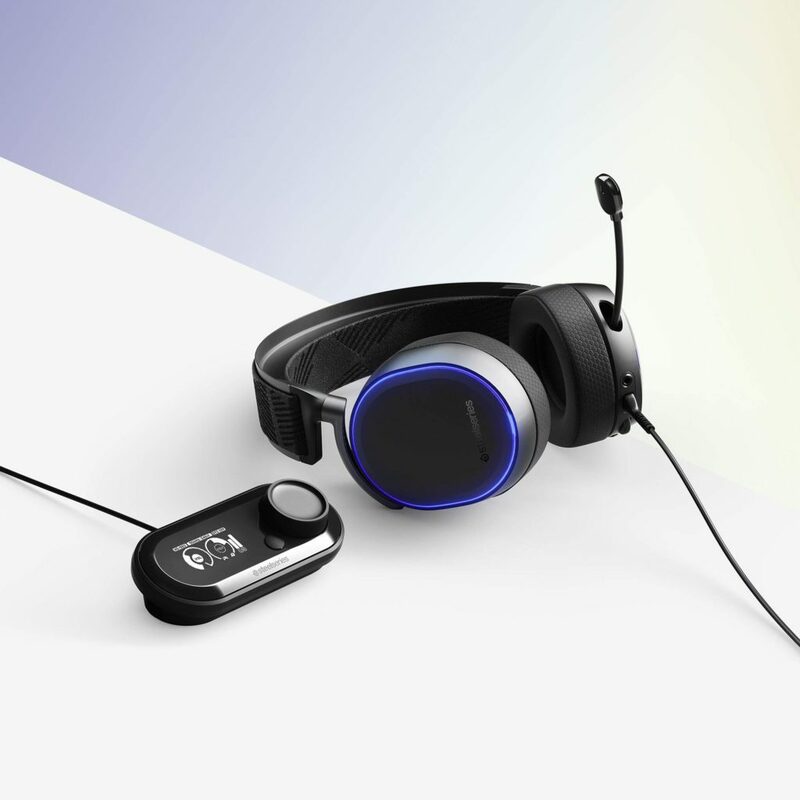 One of the ley additions to this Articis Pro headset is the GameDAC which is essentially a digital to analogue audio converter to optimise the sound experience. Most PC’s and consoles do this conversion within their systems but the SteelSeries GameDAC is a higher fidelity converter and will override this function on your respective platform. Impressively, the GameDAC has its own OLED screen display that allows a number of controls to be undertaken from it such as volume, EQ, mic balancing, LED colours customisation around the cup plates, DTS control and the virtual surround on/off. This makes making changes much quicker and easier however the price you ultimately pay for this ease is the bulky nature of the GameDAC. It’s not unnoticeable, and when you move, you will know it’s there. There is built in a safety noise limiter which by law is required and regulates the amount of maximum sound that can reach your ears. This can however be turned off (do so at your own peril). 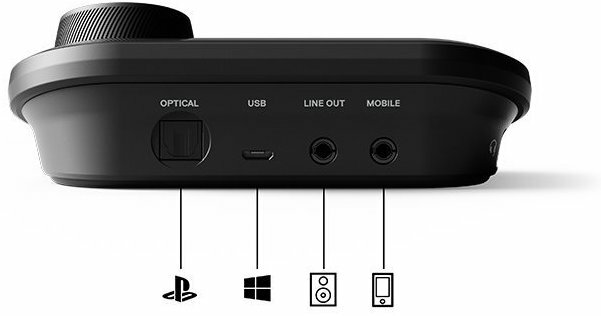 The GameDAC boasts a 3.5mm audio jack, USB, and optical audio ports for input. 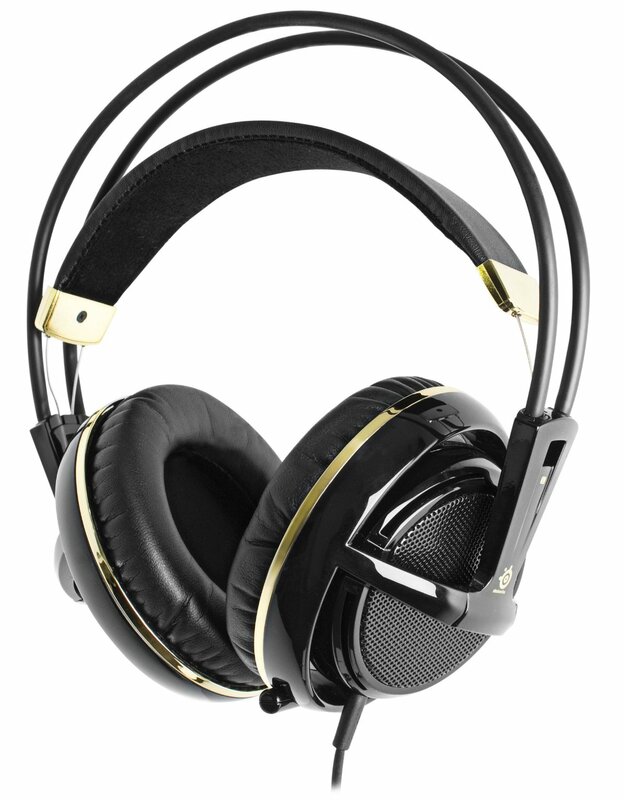 This flexibility of numerous input options essentially addresses one of Arctis 7’s main flaws. This new model can be hooked up to the PS4 and the Xbox One using an optical cable, which allows for a more controlled and a slightly more detailed sound than the USB, for high-res audio without the need for the DTS boost. The result of the GameDAC is that there isn’t actually a great deal of difference between digital and analogue so you won’t hear that much difference whichever option you choose. This speaks to the quality of the SteelSeries Arctis Pro hardware. We’ve touched on a few niggles with the headset from a hardware perspective. There isn’t much to fault from an audio perspective to fault with these. Arguably there are headsets out there that perform better in certain aspects such as stereo imaging but these are only noticeable by forensic comparison. 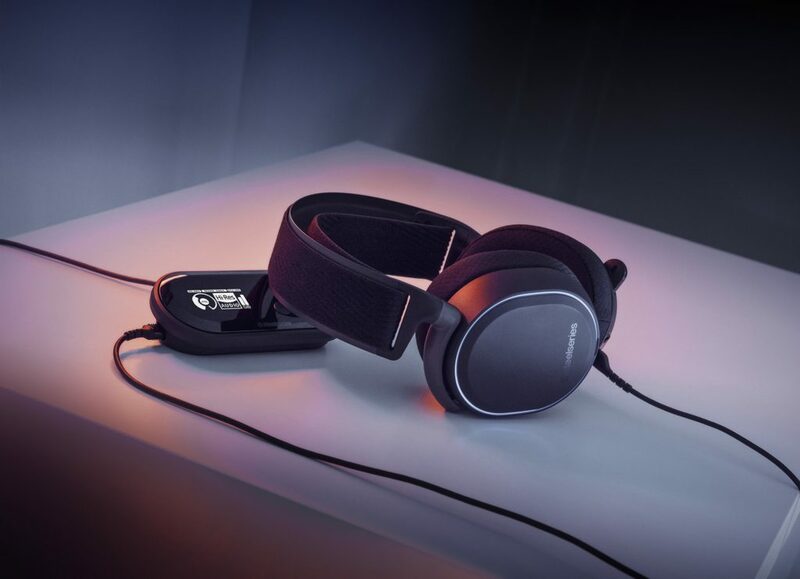 SteelSeries Arctis Pro’s predecessor, the Arctis 7 is an impressive headset but the Arctis Pro has managed to iron out some of the issues with that and make some noticeable improvements in areas such as the virtual surround sound which now sounds more natural. When in action, you know that the surround sound is accurately optimised when you instinctively develop greater situational awareness because of the surrounding sounds that you pick up on such as footsteps and reloads (Black Ops 4). We tested the DTS button on the GameDAC but and in some games, there was an improvement but overall, the effect of it is not as palpable as we would have expected. We did find however, when watching some Netflix on it that it overall improved the sound of movies and programmes. The bass is not too overwhelming and can be adjusted through the EQ though you will find the pre-set nicely balanced and gives you enough oomph and depths from explosions whilst gaming. Again when listening to music, the bass is quite balanced but it can be adjusted to suit your style of music. Learning its lessons from the Arctis 7, SteelSeries outdone themselves and produced a high calibre gaming headset that whilst it carries a fairly hefty price tag, finds itself as one of the best gaming headsets available. With flawless sound fidelity, gorgeous looks, customisable options, comfort that will allow hours of gaming and a myriad of settings to tailor your audio experience, the Arctis Pro + Gaming DAC leaves very little else to be desired. A few niggles aside, the Arctis Pro + Gaming DAC is for gamers looking for an enhanced gaming experience that will significantly add to the audio experience. Whilst $250 may seem a hefty price tag, we have very little difficulty giving this a near flawless rating. If you are looking to make an upward jump to a better gaming headset, look no further than the SteelSeries Arctis Pro + GamingDAC. If you are looking to replace your premium gaming headset, the switch to this headset is highly recommended.